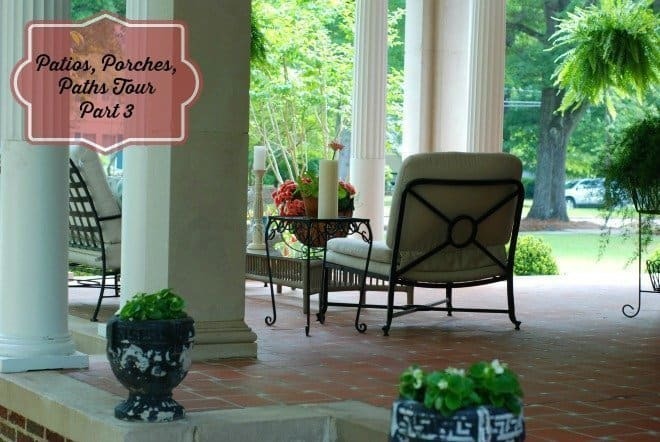 I thoroughly enjoyed the Porches, Patios & Paths Garden Tour and it was so hard to not share all 150 photos with you all, but I had to narrow it down to just a few. If you missed part 1, you can find it here! Part 2 can be found here! We didn’t know where the Long house was located until we exited the garden gate of the LaFayette house and heard the most beautiful, haunting sound of bagpipes. We followed the music and quickly arrived at the Long house. What a lovely way to be greeted as we entered the gardens of lush American boxwoods, accented with creeping yews, along with “Natchez” crepe myrtles. 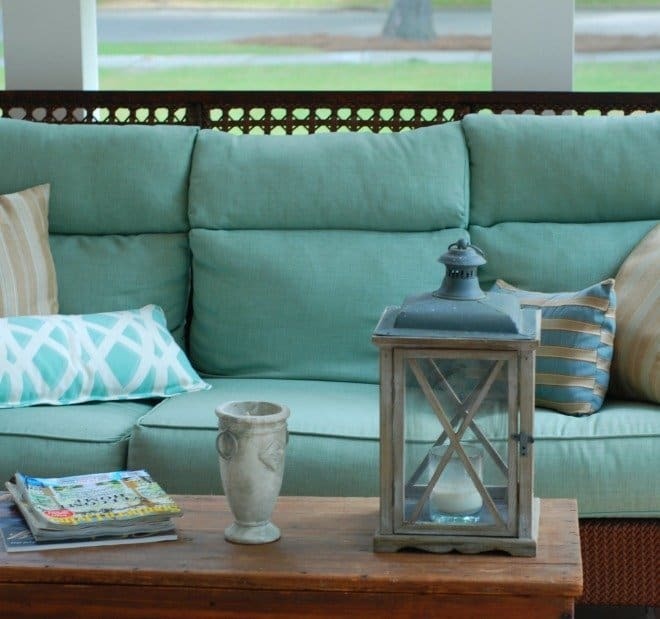 The screened porch on the front of the house was made for curling up with a good book, a glass of lemonade and a plate of cookies. As we walked out the back side of the screened in porch, we stepped into a magical garden! As we walked around the back of the house, we found the most amazing patio! We continued walking through the gardens to the other side of the house and was pleasantly surprised by another outdoor space! Wasn’t this a fun tour? The wonderful bagpipe music playing in the background took it over the top! Don’t forget to come back next week to see the 4th home. 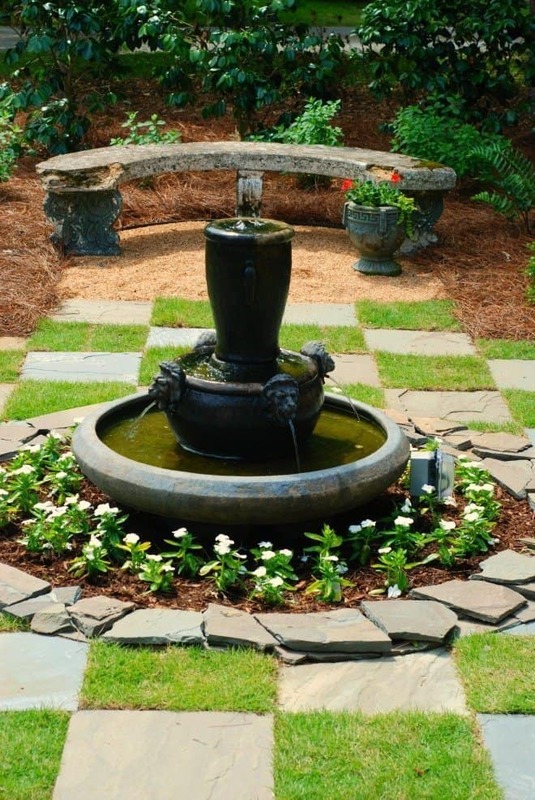 The formal garden and landscaping were designed and installed by Phillip Tucker of Bioscapes. This home is amazingly beautiful. Everything is magazine photo ready! 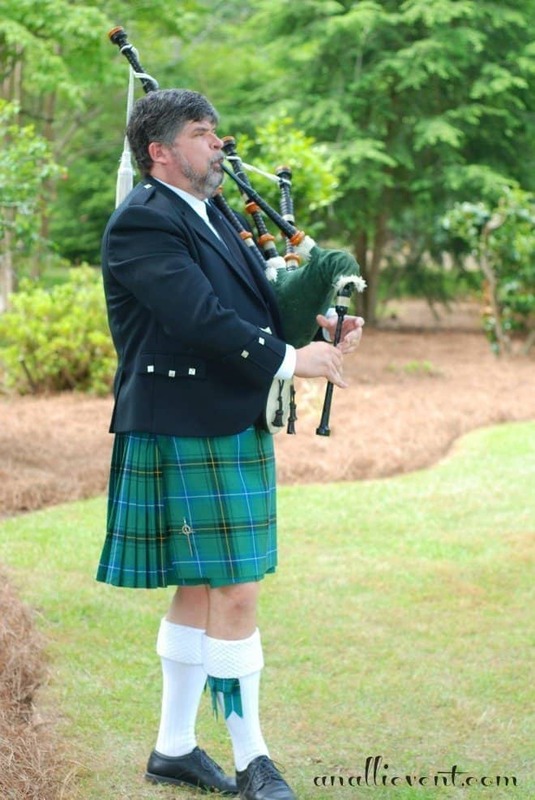 LOVE the bagpipes, that checkerboard grass and the glass chandelier! Yes, this was a fun tour. Hi! Where in NC is the Long Home? We are going to the Winston Salem area this summer for a reunion and are looking to do a little side trip with the kids. The house and gardens are absolutely beautiful. Great pictures too! It’s actually in Cheraw, SC. Cheraw is a lovely town. Thanks for dropping by! Going to look for you! Hi Alli, I hope you were able to find me, weeeeeeeeeeeeeeeee. I just linked up and made sure I was following you on FB, etc. and I was! Thanks so much for stopping by. I’m looking forward to getting to know you better. oh how I love bagpipes. Must be the Scottish roots. I’m trying to thank what I loved most about this garden and there’s not really one thing that I loved more than the other. I basically love it all, do you think I could pick it up and move it to my place? 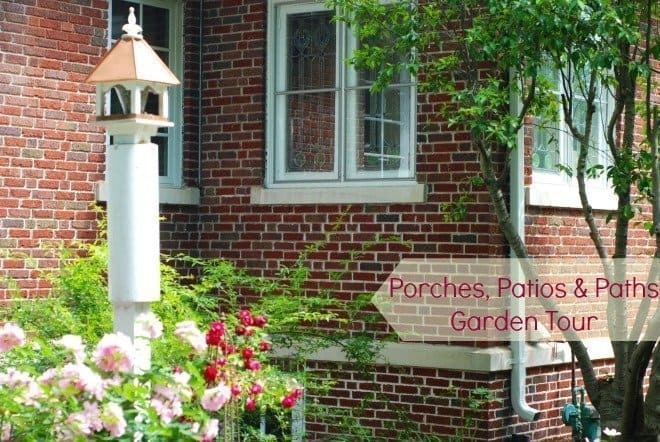 Beautiful post… I absolutely love the porches and all the pictures… so lush and beautiful!! I think a tomato plant would add a beautiful touch! 🙂 Love fresh tomatoes! 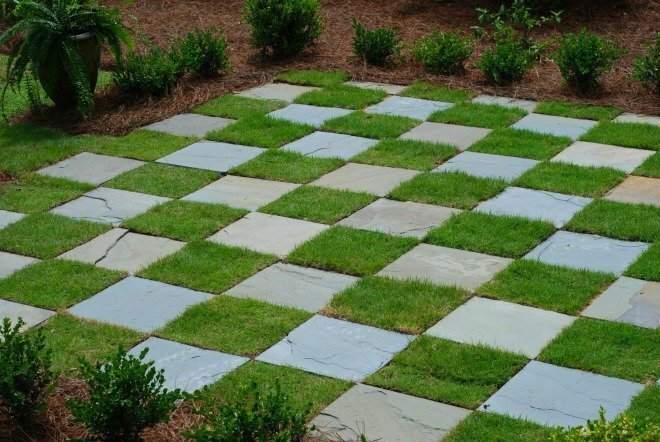 I love how they have the ground like checkers, really neat! 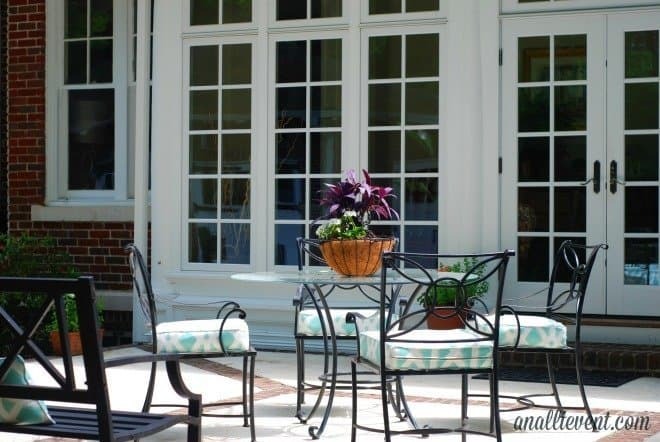 I could see myself sitting on the pouch, sipping lemonade, and watching nature in the garden. So lovely! That place is so beautiful…makes you want to be there. I love the garden! 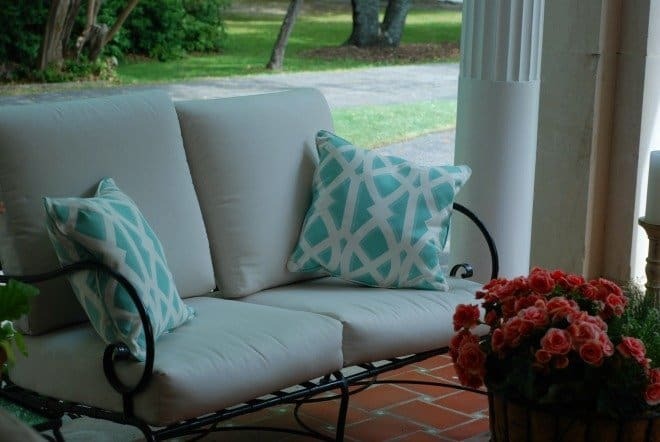 The colors used to decorate the porch are absolutely perfect! I can’t believe they had a bag piper! That’s so unique. I was so thrilled when we walked up the sidewalk and there he was! As we approached him, he was about to take a break, but he kept playing so I could snap his pic. Nice guy and great bagpipes player. You’re welcome! There’s 4 more posts in this series. 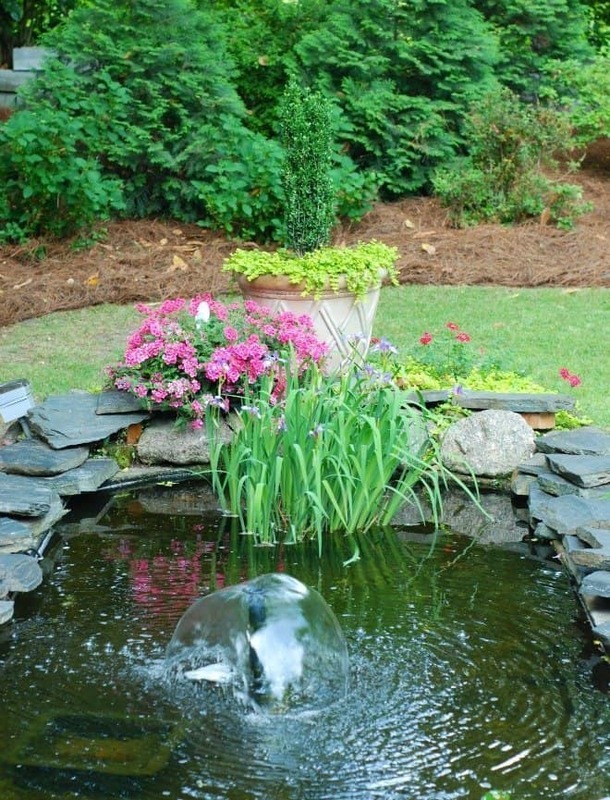 This was a beautiful garden tour. Notice lots of turquoise which is what I just added to my deck, too. Happy and cheerful colors. Thought the checkerboard patio was great. 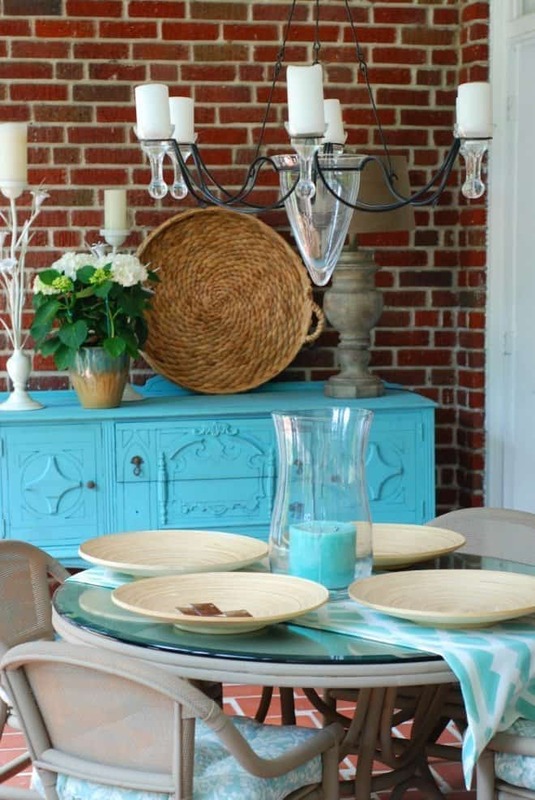 Dana@chocolateandsunshine recently posted…HomeGoods Gift Card Giveaway / Thank you! 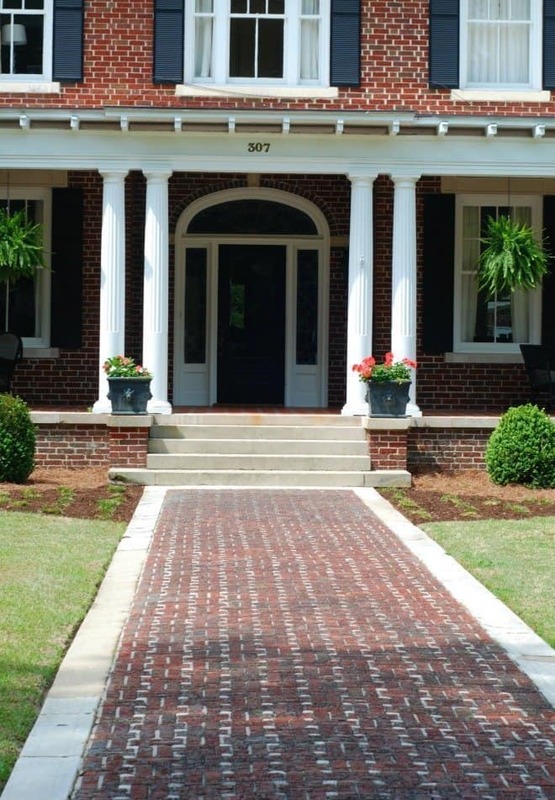 I love porches. The blue one is my fave. I’m glad you like it! I have 3 more to go and I was hoping I wasn’t boring everyone. 🙂 I really enjoyed the tour.